You Wouldn’t Want to be a Ninja Warrior! Enjoy reading You Wouldn’t Want to be a Ninja Warrior and books from the suggested list with your children. What country are ninjas from? 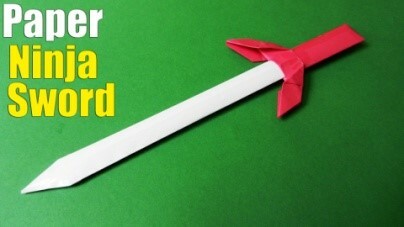 What weapons must a ninja learn how to use? 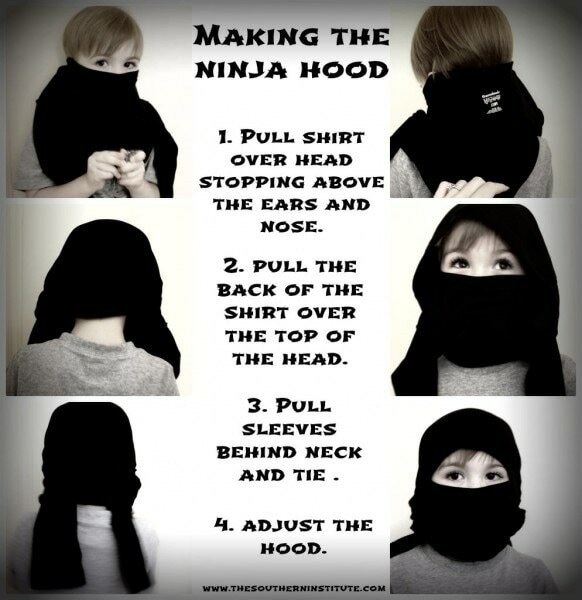 How would a ninja divert attention to avoid getting caught? If you find that your escape rope is too short, how could you make it safely to the ground? 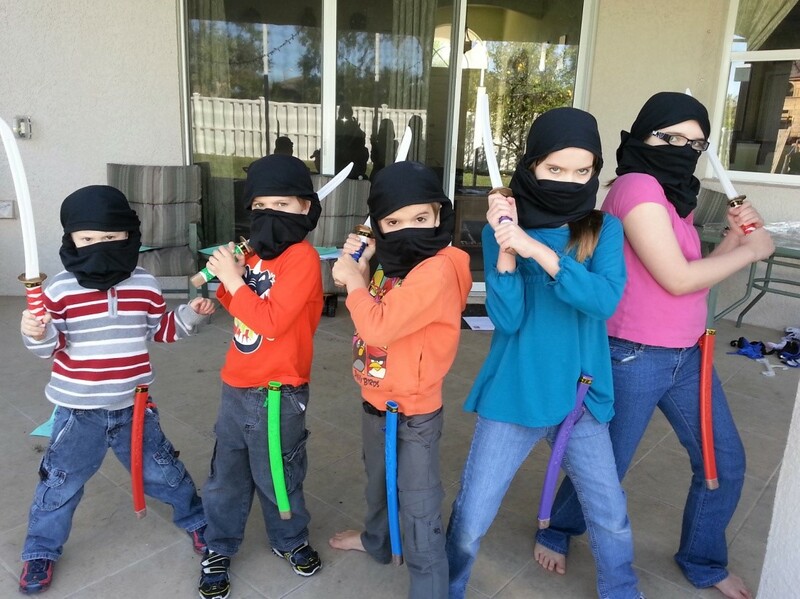 Bible verse on coloring page or draw their own ninja. Today I went on thesaurus.com and searched for “Ninjas.” The computer told me “Ninjas cannot be found.” Well played, ninjas, very well played. White belt: Have children take off shoes. Each child has to put a marker between his toes and try to write his name on paper. If the name is legible he receives his white belt. 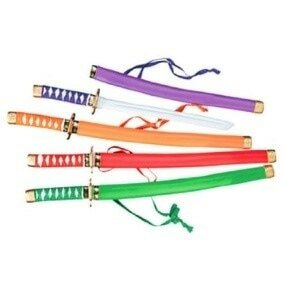 Yellow Belt: You will need ninja swords and blown up balloons. Each child gets a sword and a balloon. He must keep the balloon off the ground using his ninja sword. 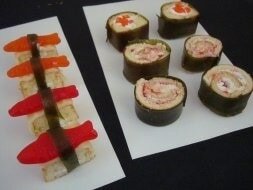 Red Belt: Using a set of chopsticks, each child must see how many cotton balls he can transfer from one bowl to another. 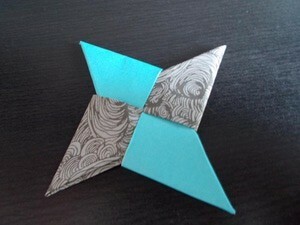 Black Belt: Children make origami ninja stars. Place a large bowl 3 to 5 feet from children. Each child will attempt to toss as many ninja stars as possible into the bucket in one minute.